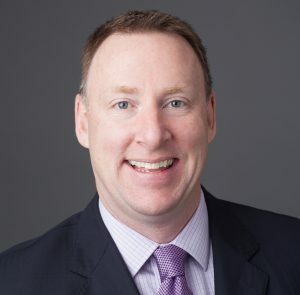 Rob MacLean became SouthWest Water’s President and Chief Executive Officer in 2018, and is based at the company’s Sugar Land office in Texas. Rob’s career has spanned over 20 years in the water industry and he has served as a volunteer leader for various regional and national organizations. From 1999 to 2018, Rob held numerous executive positions at American Water, most recently as Senior Vice President of American Water’s Eastern Division, comprised of New Jersey, New York, Virginia, and Maryland, and President of New Jersey American Water. Rob’s previous roles with American Water include President of California and Hawaii. Rob co-chairs the board of the National Utilities Diversity Council, a national nonprofit organization focusing on the growth of diversity in the utilities industry. He also serves on the Executive Committee of the National Association of Water Companies. While he was leading California American Water, Rob served on the board of directors of the California Chamber of Commerce as co-chair of the Chamber’s Water Committee and a member of the Executive Committee. Rob earned his master’s degree in applied science in civil engineering from Polytechnique University in Montreal and his bachelor’s degree in chemical engineering from McGill University in Montreal. In 2014, he attended the Stanford Executive Program at the Stanford Graduate School of Business and is a licensed professional engineer.